Small and neutral, the often-overlooked neutron is much more than just dead weight inside the atom. Neutrons are the sub-atomic particles that are here to save the world. These trusty particles can discover details that no others can fathom. From finding the shape of a virus and how a drug can disable it to keeping electrons flowing in the next generation of batteries, neutrons can help solve some of the greatest challenges we face today. That’s where AIP’s 2019 Women in Physics lecturer comes in: instrument scientist and neutron-scattering expert Helen Maynard-Casely! Based at the Australian Nuclear Science and Technology Organisation (ANSTO), Helen uses neutrons to investigate the materials that make up our solar system. In order to understand the interiors of planetary bodies, Helen uses the Wombat—one of the fastest neutron powder instruments in the world (feel free to ask why it’s called Wombat if you ever meet Helen!) Powder diffraction is a technique used to characterise the structure of materials and measure light elements in the presence of heavy ones (for example in oxides, borides and carbides), including magnetic materials. It’s also a useful technique for analysing large samples or performing experiments under conditions of extreme pressure, temperature or stress, or intense magnetic and electric fields. Helen’s role includes assisting and collaborating with visiting scientists and commissioning new equipment for Wombat to ensure it is constantly improving and expanding its strengths. 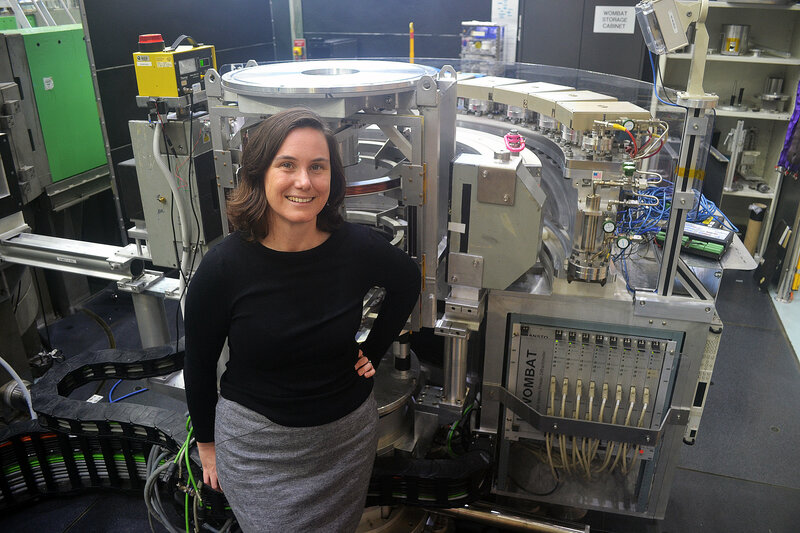 Previously Helen worked at the powder-diffraction beamline at the Australian Synchrotron where she developed her program of research on planetary ices. She has also previously completed an industry-funded post-doctoral position exploring the high-pressure behaviour of energetic materials at the University of Edinburgh. When Helen is not working on Wombat instrument, she works to promote science to the public. She was one of the researchers for the Royal Institution of Great Britain’s 2010 Christmas Lecturer and is a regular writer for The Conversation. The cut-off date to renew your AIP membership was Sunday 31st March. But don’t worry, renewing is still easy. Simply email aip@aip.org.au with your membership request. Eligibility for prizes: The medals, awards and prizes administered and awarded by the AIP are important for careers and peer recognition. There are also lots of other awards and certificates made to secondary students and undergraduates that are not listed on the website. These are mostly managed by state branches and aim to reward and support students with an interest in and aptitude for physics. Reciprocal memberships: We have reciprocal arrangements with overseas organisations including the American Institute of Physics, American Physical Society, the Institute of Physics and the European Physical Society. Read the full list online. 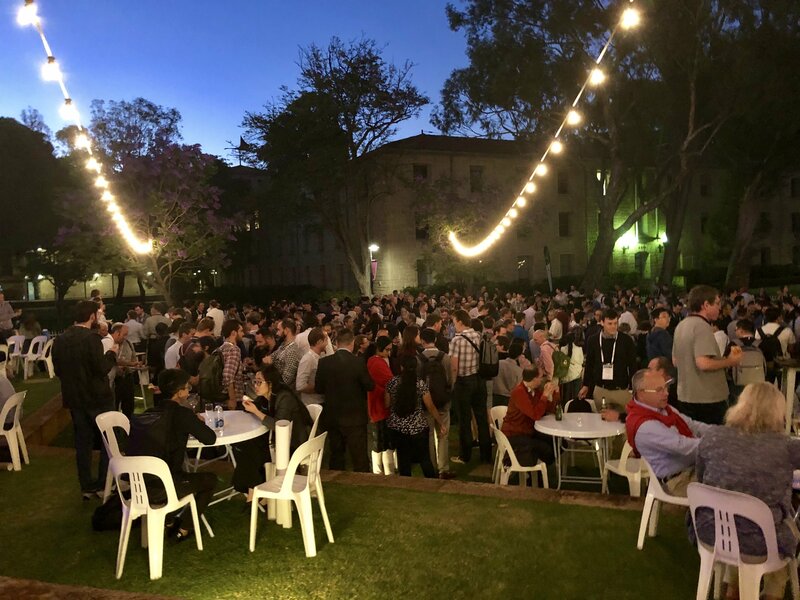 Special rates at physics conferences: The AIP Congress is the major meeting for Australian Physicists and is run by the AIP every two years. Members get special rates. The next one will be held in Adelaide in 2020. Physics outreach: The Women in Physics tour runs each year and last year over 2,800 people heard UK laser physicist Ceri Brenner speak around the country. And the 2000 Women in Physics Lecturer even went on to become the 2018 Australian of the Year! Special interest groups: The special interest topical groups within the AIP work to promote their discipline areas, from nuclear and particle physics to the very active physics education group. We represent physics in Australia: We represent physics with organisations such as Science & Technology Australia who run events such as Science meets Parliament. The AIP also engages with other cognate societies including the Australian College of Physical Scientists and Engineers in Medicine (ACPSEM), the Australian Optical Society (AOS), the Astronomical Society of Australia (ASA) and the Royal Australian Chemical Institute (RACI), among others. Tackling big issues: We are trying to be more inclusive of women in STEM and stay relevant as we move away from the older, more traditional versions of professional bodies towards a new model. You can be a part of the positive change. Read more about AIP’s member benefits and services online. We need to prioritise science in the next federal election. This was Science and Technology Australia’s (STA) message to decision-makers and candidates last Wednesday. 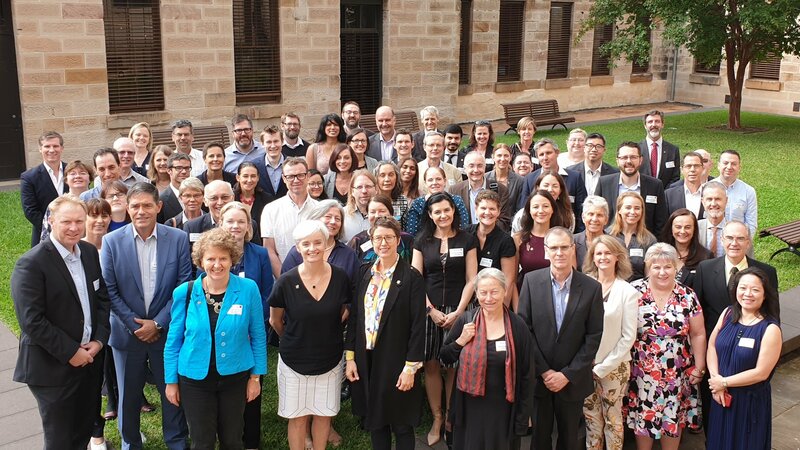 The AIP, along with almost 100 other leaders from the science and technology sector, signed a document to stand behind STA’s call for a science focus during the next election in Australia. The #SolveitwithScience call to action is in response to the science sector facing declines in research funding, falling business investment, freezes to government support of universities and insufficient STEM graduates to meet future demands. A commitment to creating policy across all portfolios that is informed by the best available evidence. The STEM sector would like to see all parties agree to nine commitments to ensure STEM has a high profile during the upcoming election including making Australia a top 10 global investor in research and development (aiming for 3% of GDP), assigning a Federal Cabinet Minister to the Science portfolio and ending cuts to federal institutions such as the Bureau of Meteorology, the Australian Bureau of Statistics and the CSIRO. What can you do? You can support the campaign on social media with the hashtag #SolveitwithScience and by meeting your local member or candidates. STA now represents over 77,000 scientists and technology workers, so if a reasonable percentage of us write a letter it will make a big impact. Read more about the nine commitments in the STA media release. And for news updates, follow the hashtag #SolveitwithScience on Twitter. Pegah Maasoumi has been Chair of the Women in Physics for the past two years. 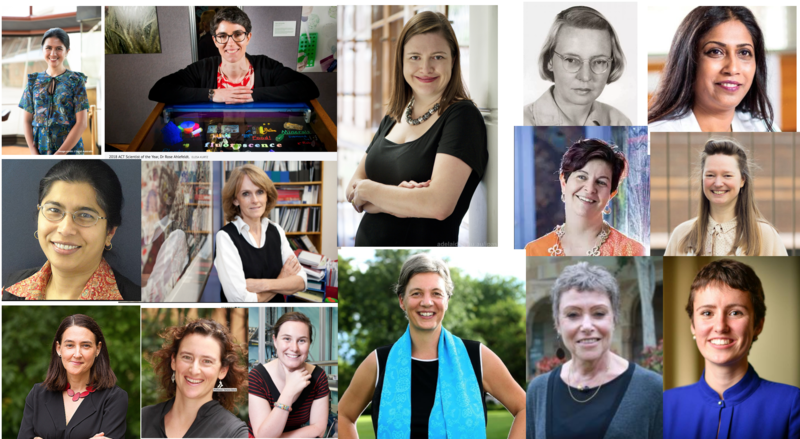 She says leading Australian delegates at the International Conference for Women in Physics (ICWIP), getting to know world-leading female physicists (including Jocelyn Bell Burnell and Daniela Bortoletto), and working on a winning bid for the 2020 ICWIP Conference to be held in Melbourne were just a few of the highlights. Pegah is now stepping down from the position and the Women in Physics are calling for expressions of interest for a new Chair. Assist in the selection of the WIP Lecturer. If you are interested in being Chair or joining the committee please email Pegah at aip_WIP_chair@aip.org.au by Friday 12 April 2019. Science and Technology Australia has just opened nominations for Science Meets Parliament 2018. As a member organisation the AIP can send two delegates to the event on 13 and 14 August. Science meets Parliament offers science, technology, engineering and mathematics (STEM) professionals the chance to build a profile for their work as we approach another federal election cycle. farewell networking cocktails with the Parliamentary Friends of Science. A short statement (no longer than 1 page) indicating why you would like to attend and what you hope to gain from the experience. The AIP will cover your registration for the event. Travel and accommodation will be at your own expense. The AIP executive team will then assess each of the applications, taking into account gender balance, research area balance and geographic coverage. Please send your expressions of interest to aip_secretary@aip.org.au by Friday 19 April. For the 1967 discovery of pulsars and a lifetime of inspiring scientific leadership, astrophysicist Jocelyn Bell Burnell was awarded the 2018 Special Breakthrough Prize in Fundamental Physics. Jocelyn was also the 1999 AIP Women in Physics Lecturer. Previous recipients of the Special Prize include Stephen Hawking, seven CERN scientists whose leadership led to the discovery of the Higgs boson, and the entire LIGO collaboration that detected gravitational waves. 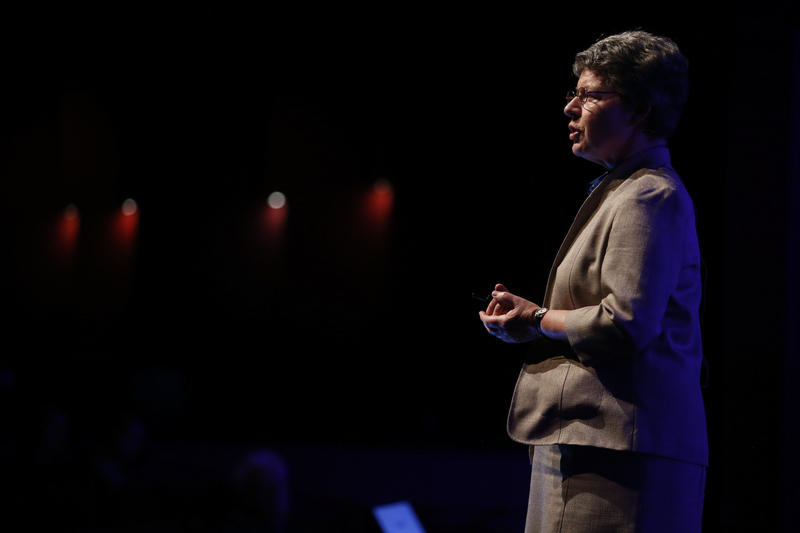 On Tuesday 19 March Professor Dame Jocelyn Bell Burnell donated her £2.3m prize money to the UK-based Institute of Physics to launch a new PhD scholarship fund to encourage greater diversity in physics. The Bell Burnell Graduate Scholarship Fund will support full or part-time graduates who wish to study PhD physics, and are from groups that are currently under-represented in the field. Data privacy is vital to realise the potential of our increasingly digital world, and quantum physicist Jacq Romero believes next-generation data security could rely on a ‘quantum alphabet’ made from different shapes of light. Jacq is an expert in encoding messages using the alphabet based on the shapes of photons. Jacq believes that quantum communication that uses this technology could allow us to transmit information with unparalleled levels of security. Jacq will have the opportunity to explore this further through the recently announced Westpac Research Fellowship. She will share $1 million in funding over three years with global health researcher Meru Sheel. This fellowship comes after Jacq was chosen as one of the 15 L’Oréal International Rising Talents announced last month—for significant contributions to the field of quantum physics and as a future game changer in science. Nominations and applications for the Australian Academy of Science’s 2019 honorific awards, research conferences, research awards and travelling fellowships are now open, www.science.org.au/opportunities. The closing date for 2020 funding is Saturday 1st June. The call for abstracts has been extended for the 2019 Asia-Pacific Physics Conference in Malaysia, held from 17 to 22 November. Topics range from astrophysics and computational physics to physics education and women in physics. The Tarantula Nebula and a globular cluster with about 750,000 suns were just two of many stellar sights spotted with the Astronomical Society of Victoria’s (ASV) new 40-inch Hubble Optics Telescope at the First Light event at the start of March. More than 400 people attended the unveiling of the specially-built telescope in March, held at the Leon Mow Dark Sky Site in Central Victoria. “It was my personal pleasure to show [the Finkels and the Baillieus] the Tarantula Nebula in the Large Magellanic Cloud—a satellite galaxy of the Milky Way, and also the globular cluster known as 47 Tucanae—composed of about 750,000 suns,” said Perry. The site’s new $750,000 telescopes, observatory and accommodation blocks were self-funded by the ASV, and the organisation hopes the telescope will be available to the public, schools and universities in the future. ASV members will be able to use it once they’ve been trained in a short course of handling the instrument. 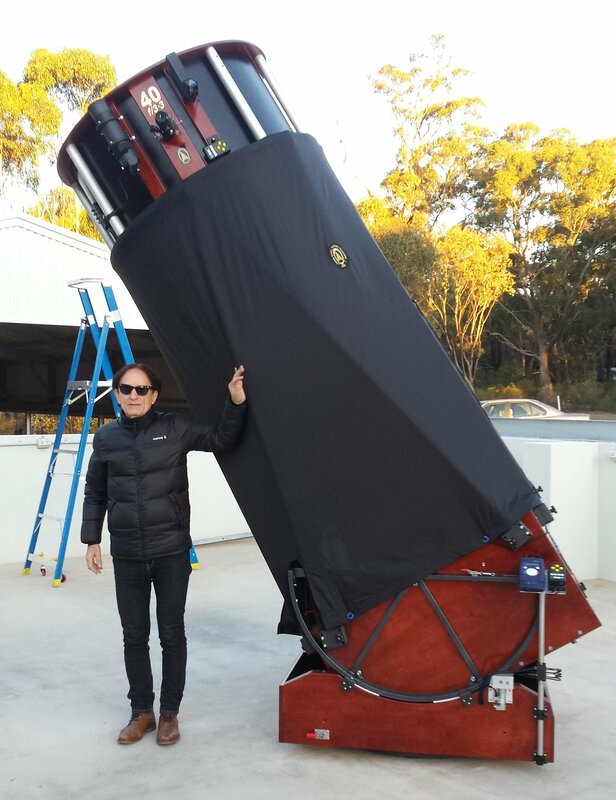 Australia’s Chief Dr Alan Finkel declared the telescope open, joined by ex-Premier Ted Baillieu, local MP Steph Ryan and Mayor of Bendigo Margret O’Rourke, along with a number of scientists and other dignitaries. Head to the Astronomical Society of Victoria website for future events. The Asian Physics Olympiad draws closer—with just over 30 days to go. Follow all the action via their Twitter feed here: https://twitter.com/apho2019. And keep an eye out Monday 15th April when the Australian team is announced online! The new $5 million NSW Physical Science Fund (PSF) was announced by the NSW government in February to help individuals, companies, research institutes and universities take their physical science devices and systems to the market. The Fund is created by the Office of the NSW Chief Scientist and Engineer and is part of a wider strategy to improve university and industry collaboration and help support research. It is hoped the Fund will bring economic growth and job creation to NSW. Head to the NSW Physical Sciences Fund for more details on how to apply. Preliminary applications close Friday 3rd May 2019. This article was originally published in Cosmos, written by Alan Duffy. The finding, led by scientists from Australia’s Griffith University, contradicts previous experiments that suggested a degree of time elapses between the start and finish of a tunnelling event. It’s nine days with everything from science festivals, music and comedy shows, expert panel discussions, citizen science opportunities, interactive hands-on displays, film nights, open days and online activities. This year’s program runs from 10 to 18 August. 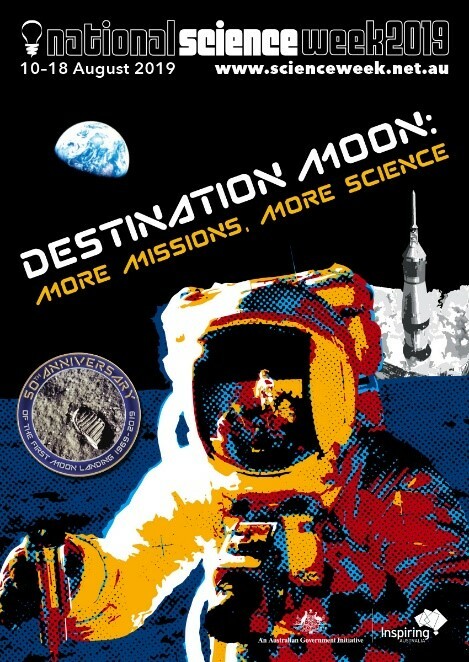 The theme is Destination Moon which celebrates 50 years since the first moon landing. So, how will you get involved? Now is the time to plan and register your event and gain a piece of the science action. Registration is open on the Science Week website: scienceweek.net.au/event-holder-registration. Read our guide to writing a great event description. 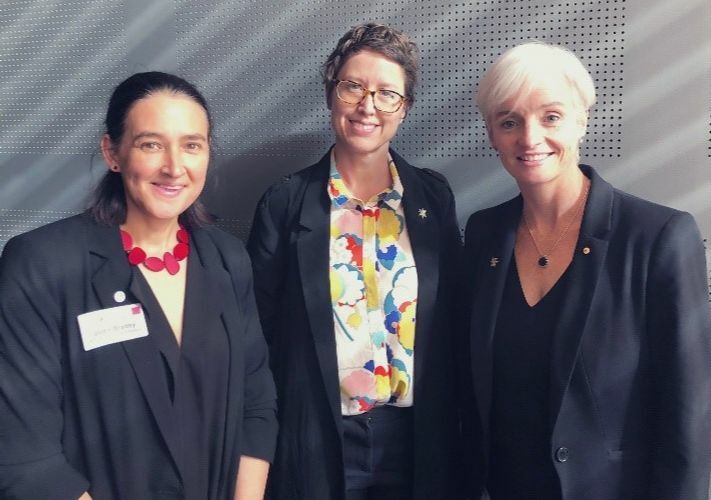 Nominations for the 2019 South Australian Scientist of the Year Awards are now open. The awards recognise and reward South Australia’s PhD Researchers, STEM Professionals and STEM teachers for outstanding scientific endeavour and the advancement of STEM education. Physics educator and AIP fellow Maria Parappilly was the winner of the South Australian 2015 Early Career STEM Educator of the Year. 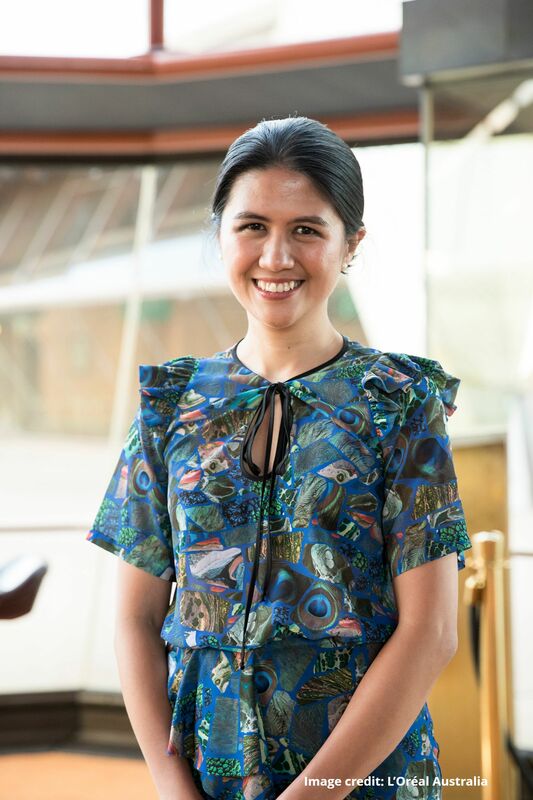 The award enabled Maria to go on and win many international and national awards while reinvigorating her desire to inspire her students in the classroom. The South Australian Scientist of the Year will receive a prize to the value of $25,000, and winners in the remaining five categories receive a prize to the value of $10,000 to use towards career development. Head to the SA Science Excellence Awards website for more information on how to apply. Nominations close Friday 26 April. The AIP is happy to provide a link to your physics-related job for free. Please send your links to physics@scienceinpublic.com.au. If you would like to feature more details and a picture, please contact us for more information. ANSTO: Sample Environment Officer: Two positions available.